^ Zubrin, Robert (1996). The Case for Mars: The Plan to Settle the Red Planet and Why We Must. Touchstone. ISBN 0-684-83550-9. ^ Zubrin, Robert (1996). 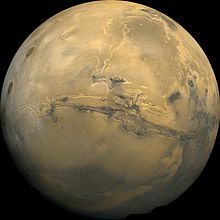 The Case for Mars: The Plan to Settle the Red Planet and Why We Must. Touchstone. pp. 114–116. ISBN 0-684-83550-9.